Thank you, Johanna! I appreciate it very much. Excellent capture here . . . Thank you so much, Kay! I appreciate it. saw in 5 and 500 views in Beauty in Art - congrats! so adorable! tweeting! Thank you so much, Cynthia! I appreciate it. Thank you, Anne! Much appreciated. My son gave me a stuffed toy of these. He said that the baby and mom remind him of us.,it was the day he played drums for my school. Endearing capture, Richard, like her expression, v/L PIF-WFS!! Thank you, Chuck, for the feature in the Hairy Primates group! Much appreciated. Your work is fabluos, Richard! Thank you so much, Cecily! Many thanks, Adri and Ray! I appreciate it. Thank you, Mariola, for the feature in the Our 4-Legged Friends group! Much appreciated. Thank you so much, Lingfai! I appreciate it. 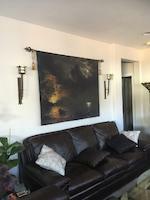 Thank you, Dan, for the feature in the Premium FAA Artists group! Much appreciated. Thank you so much, John, for the feature in your group! I really appreciate it. 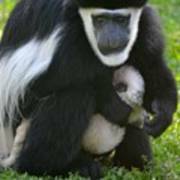 A colobus monkey holds a two week old infant in its arms at the Jacksonville Zoo and Gardens in Florida. 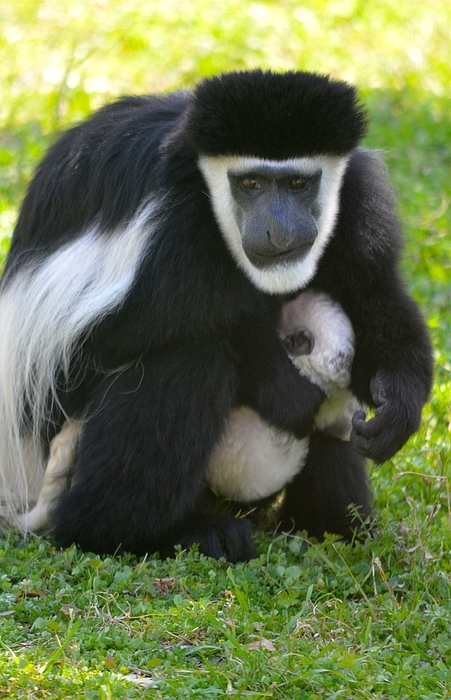 Colobus monkeys are native to the Central and East African rain forests. They are grass, leaf, flower, and twig eaters. 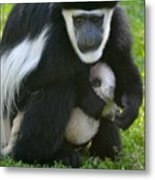 Life span in the wild is about 25-30 years. They are also great leapers.